Home / Bollywood / Films / Arjun Rampal's Daddy is more realistic than any other Gangster Movie before. Find out why. Arjun Rampal's Daddy is more realistic than any other Gangster Movie before. Find out why. Ever since the first teaser of Daddy came out, the audience interest in the gangster biopic genre has had a revival. Our industry’s obsession with the dark underbelly of society is age old and Daddy isn't the first gangster movie of Btown. What is new, however, is the fact that Daddy is B-town’s first realistic depiction of a gangster with no mirch-masala added. Even with some memorable and iconic movies in the genre, we can say that Daddy is unlike any other. It's not like a Once Upon a Time… and its sequel or Company or Satya, and it is not a fictionalised account that takes inspiration from real life. This is a legit gangster biopic that is not afraid to take the names of the personalities it is trying to portray. So you have Rampal as Gawli, while his close associates like Babu Reshim and Rama Naik (they were the leaders of the dreaded B.R.A. gang) also getting mentioned by their real names. 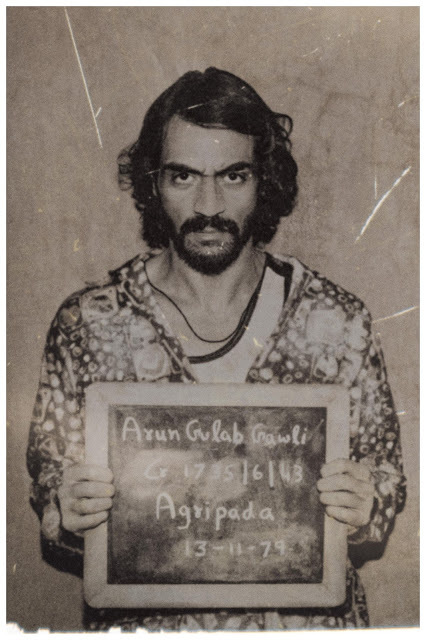 With a long three years of research, the director Ashim Ahluwalia has made sure that his actors have some real sort of semblance to the characters they portraying, the primary example being Arjun Rampal as Arun Gawli. Yes, the heights may not match, but Rampal has taken a lot of efforts to keep the facial characteristics similar to that of Gawli, and you will appreciate the efforts when you see the trailer and dialogue promos of the film. On similar lines, the casting of Anand Ingale, Rajesh Shringarpure and Aishwarya Rajesh as Babu Reshim, Rama Naik and Asha Gawli is almost spot on! Another interesting fact is that the setting of the film is not contemporary and the makers have tried to show the gangster's growth to utmost notoriety right from the '80s to the '90s. The time gap was well explained which was visibly evident in the distance between the trailers as well as the songs. And yet, the exact illustration of the era is not self asserting unlike any others in the industry; save for the Zindagi Meri Dance Dance song, the feel of the era stays fresh and natural. Putting in the constant effort and taking all of the pain, the director recreated Gawli's surroundings superbly especially the Dagdi Chawl. To depict his rivalry with the most known gangster on this face of the continent Dawood Ibrahim, was the easier way for Daddy to go pass and get some attention. However, while Daddy touches upon this aspect, the movie stays focused on a more inherent look at Arun Gawli’s journey all through and trying to perceive him as a man of the family who also takes looks after the inhabitants of his locality, while the rest of the city looked at him as a dreaded gangster who instantly needs to be taken under the law. practices. The director has chosen to focus more on his character development than take into consideration just some grainy shootouts. Even though there is a Don as the lead character, Gawli is not expected to sit in a stadium like a King with his men by his side or smoking in style and even dance to fresh bollywood tunes in the clubs. Like we have always said, there is no glam and gloss attached with the character's personality and special care has been taken to show the real life gangster as realistic as possible on screen. Daddy is scheduled to release on September 8. The movie stars Arjun Rampal in the lead as the gangster Arun Gawli while South star Aishwarya Rajesh plays Asha Gawli, his wife.